Your car is one of your most important assets for many reasons other than its price. Apart from being your main means of commute, you might also be emotionally attached to it or have it as a vital part of some of your future plans. For instance, to some people, a road trip is a dream vacation activity, and for this, you need to make sure that your vehicle is in its optimal state at any given point. In other words, aside from having a reliable car, you also need to have a reliable mechanic on your side. Here are five tips to help you recognize one. The first and the most apparent thing to do when picking the right mechanic lies in the idea that you have to learn a thing or two about car repair yourself. Sure, some may argue that this is redundant, since in that case, you wouldn’t need a repairman in the first place. Yet, this is a gross oversimplification. You don’t actually have to learn how to repair certain things in your vehicle; all you have to do is figure out how much some repairs cost and how long they take. For instance, a crooked mechanic may keep your car for 2 days in order to inflate the price of the repair, when in reality it was a fix that could be done in as little as 20 minutes. While it is true that a less-known local mechanic might not appear on your radar, you also need to understand that people nowadays don’t fret from posting their troubles online. A comment left on the official website, blog or social media page of a certain mechanic may get deleted, while this is not an easy thing to do on independent car forums. Due to the nature of this industry, these forums are localized, which means that the Australian audience might want to look for .au extension forums in order to find the adequate repairman. One of the things that people often neglect in this era of online reviews is the importance of the shop’s appearance. If the shop is neat and well-equipped (which is something you can evaluate even if you aren’t an expert in this field) and if the personnel are polite, welcoming and busy-looking, you might just be in the right spot. Of course, the politeness of the staff or the owner doesn’t affect the efficiency of their work, but it might impact your future collaboration. Ask yourself a question – do I see myself working with some of these people in the future? If you see this affecting you in a negative way, it might be for the best to just look for aid somewhere else. Finally, you want to test the waters, so if you see someone you believe will work out for you, the next move you take should probably be going for a small job to see how it works out in practice. Unfortunately, some shops are ready to rip you off after replacing your windshield wipers or fixing your lights. Needless to say, the price and complexity of this repair is something you can easily check online or by making a phone call or sending an email to another shop. You should never be reluctant to take as much time as you need to make sure that the mechanic you chose is the right one. While paying more than you have to may seem bad, the prospect of driving your family in a vehicle that is not fully functional is much, much worse. Therefore, you need to find a mechanic whom you can trust with your life. At the end of the day, this might be exactly what you’ll be doing. if you are a resident of Queensland who drives a heavy vehicle, you have to narrow down your search to mobile mechanic Brisbane. Cars are a luxurious item for any individual, and after the investment on a house, a car is the next big thing. There are many latest and upgraded features that a modern car has. However, there are times when your car can start giving trouble and this is when you need a professional car mechanic as they are experienced in repairing any kind of issues in a car. The car mechanic will understand the various problems in the car and can repair it at the right time. With proper repairing your old car can get its new and fresh look again. 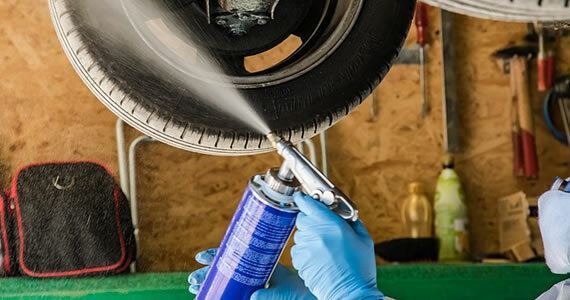 There are some common issues that you can experience in your car and you need to hire the right mechanic in order to fix these problems perfectly for car service. This issue involves your car battery not supplying enough energy even after being charged. If you notice that your battery is not working properly or completely dead then you need the help of a mechanic to change the battery with a new one. 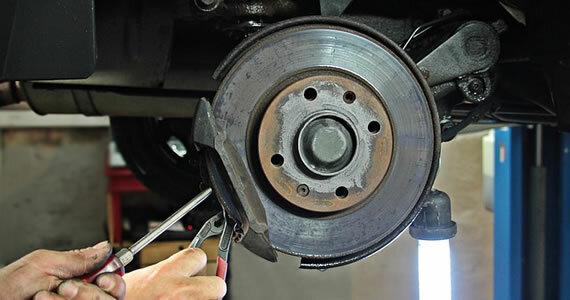 Car brakes play an important role in keeping you safe while driving the car. If this is not working properly then you need to get hold of a mechanic and get it repaired immediately during car service. You will need to show your car to the mechanic if you notice vibration in the car when you start the car. 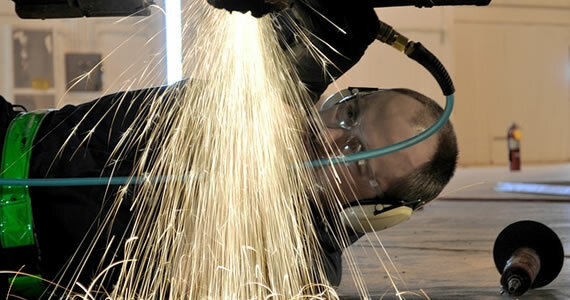 The mechanic will take necessary steps in repairing it in order to prevent any kind of accidents. The mechanic will do a touch up for any scratches that found in the car. They will use the necessary paint that will not only cover these scratches well but also prevent it from further damages. Washing the car properly in order to remove the spots from the car is also helpful in making your car look fresh again. Cleaning the insides of the car is as important as the outside. A mechanic will help you do this as well as clean the carpets of the car by vacuuming it. The next step that the mechanic will take to make your car look new is replacing all older parts in the car that is not functioning smoothly. Checking, repairing and replacing any electronic items present in the car, if needed. Finding the right mechanic for your car has never been so easy. Now with the help of the internet it has become the most convenient way to choose car mechanics. You can check reviews and ratings of car mechanics online. Find affordable but reliable mechanic for your car. Always check the certificates of the mechanic in order to be sure they are trustworthy. You can even take referrals from your relatives and friends for the mechanic whom they know and have worked with. If you have all this basic information about the car servicing, then finding a quality car mechanic and services for your car will be easy and your aim of changing the look of your old car will also be achieved. Auto mechanic is that one person who can provide you a peaceful driving experience at an affordable cost. There are some roadside auto mechanical shops available, that provide you cheap car services, and they always try to force you to install the duplicate spare parts in your car. However, if you rely on them and avail their services then you need to spend a huge cost later your car servicing. These mechanics are not professional and they are not certified in this field. They will damage your car and break the insurance rules. In this regards you need to check few criteria before hiring an auto mechanic. When you hire the auto mechanics, you need to check their certification. They must be certified by some reputed automobile schools and they should have the valid license for this work. You can also check their license validation from the authority website and then you need to ask them about their experience. Experience plays a vital role for the automobile industry because more than the academic and theoretical expertise, experience and practical knowledge are necessary to identify the car’s problems to provide possible solutions. Therefore, in this regards, you need to check their experience and you can also check their customer feedback from their website or other genuine references. Finding a perfect and professional auto mechanic is not an easy task and in this aspect, you can contact with your friends and family members. Those who have their own car can help you and they can provide you the contact details of some reputed automobile service center. It is suggested to ask to the auto mechanic for a written estimate for the repairing and servicing of your car. Most mechanics provide the written estimate free of cost, and they charge you the accurate amount as per their given estimate most of the times. However, if your mechanic does not provide you the written estimate, then height hike the price after or during servicing and it is recommended to avoid these types of fake mechanics. Professional mechanics always describe the problems and explain the reason behind the problems to you. Apart from that, some of them also help you to claim the insurance. In this regards, you need to ask them about the insurance norms and they must follow the manufacturer guidelines too. Authorized and trained auto mechanic always incorporate genuine spare parts and they do not install the duplicate spare parts in your car. If the mechanics suggest you to install the duplicate spare parts at a cheap rate then disapprove them, because duplicate spare parts can damage your car permanently. 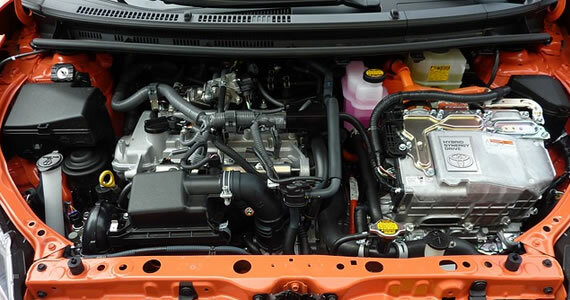 Professional and trained auto mechanic always provide your affordable rate for servicing. However, these mechanics are educated and they work very hard for your car. Therefore, they may be slightly expensive for your pocket. But, for sure you can bargain with them and chances are you can avail their discounted price range during their offers which go on all throughout the year. Some auto mechanics provide you warranty on their work and if you face the same problems within their warranty period, then they will provide you free service. For this warranty, they may charge you few amount extra. Car is an integral part of your life and you cannot lead a comfortable life without your car. So, when you hire the mechanic, you can ask them for the rental car service for the servicing period and they can help you in this regards. For many people, their passion is cars. Automobiles are also currently going under an exciting engineering transformation and have been since they were first invented by Henry Ford in the early 1900s. With things like electric powered vehicles and self-driving cars, the automobiles of the future are certain to be much more advanced than what we are driving on the road today. If you want to get in on a career working on the roadsters of the future, below are some tips that can help. There are a lot of automotive degrees you can obtain at technical schools that can certainly get you a steady job working as an auto mechanic. However, if you want to actually design the next generation of cars, you’re going to need to aim a bit higher with your academic aspirations. You’re going to need a good engineering degree. While becoming an engineer does indeed require a lot of hard work and dedication, you can certainly fit it into your schedule. Obtaining an online masters in engineering management, for example, can be done at home at your own pace. Cars are some of the most complex machines to work on and put together. There are a lot of variables that you have to put together when you are assembling a car. While the fundamentals are still the same, the make and model of the car you are trying to build will have an impact on how everything goes together. It also can vary with any technological upgrades that you would like to make. While education is certainly important, certain kinds of knowledge can only be obtained on your own with your own two hands. 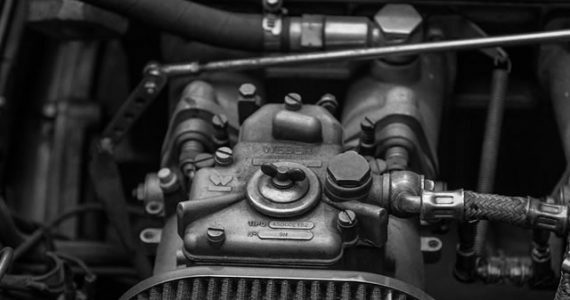 If you want to design cars, let alone technologically advanced ones, you’re going to need to understand everything that goes into an automobile from the engine pistons, to the carburetor to the electrical system. Build your own car from a kit or restore an old piece of rusted junk for sale somewhere. This kind of learning experience is invaluable and will provide you with plenty of practical knowledge you can’t learn in a classroom as there is just some things experience can teach you that classroom education can not. However, to work on the roadsters of the future, you’re going to need to have knowledge beyond how today’s cars are engineered and designed. You’re also going to need expert knowledge of how computer systems operate. As automobile tech evolves, a car’s computer system will become increasingly advanced. Self-driving cars, for example, require a computer system that can read multiple sensors, link up with GPS navigation and make thousands of decisions per second. To design such a car, you’re going to also need to be an information technology expert. The automobile industry is currently going through an exciting transition. Things that previously only existed in the realm of science fiction will soon become reality for the next generation of cars. If you want to become part of this technological revolution, you’re going to need the right technical knowledge and skill.